The January 13, 2014 regular meeting of the City Council was called to order by Mayor Sims. Everyone was asked to join in the Pledge of Allegiance. Council members John Ruymann, Angelo Cilluffo, and Allan Palmerson answered roll call. Council Councilman Ruymann made a motion to excuse the absence of council members Fallow and Hawkins. Councilman Cilluffo seconded. Motion carried. Councilmember Ruymann made the motion to approve the regular meeting minutes of December 9, 2013 as presented. Councilor Palmerson seconded the motion. Motion carried. Gloria Downey, Janice Howell, Kathy Elder, Bill Scholl, Anita Hawkins, Jorge Lopez, and Cheryl Lopez were in attendance to support the move of the Timberland Library to the Oakville School and made comments expressing their support. Amy Thompson welcomed the new mayor and council members. She expressed her opinion in opposition to the library’s move. Donnie King – Library: Tabled until next work session. Public Works Director, Dan Thompson submitted a written Water, Streets, Cemetery, Parks & Misc report, which was included in the packets. Council member Ruymann made a motion to allow Dan Thompson to attend the Evergreen Rural Water Conference February 4th thru 7th in Yakima. Councilman Cilluffo seconded the motion. Motion carried. 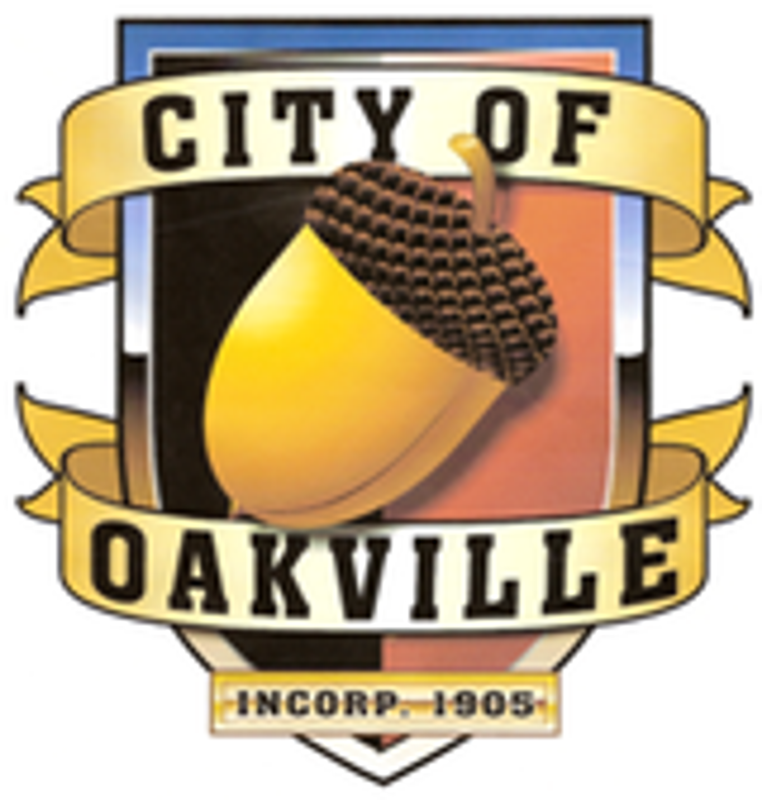 Oakville City Survey Results: Included in packets for new council member’s information. City Park Sign: Mayor Sims and Public Works Director have a couple of ideas how to possibly make the letters stand out better. They will try these and see how it looks. Cox Water Rights: City Mayor Dan Glenn thanked Dan Thompson for all the work he provided and his diligence in getting this project completed. Councilman Ruymann made a motion approving payment to Mrs. Cox for 25.88 cu. ft. of water rights. Councilor Cilluffo seconded the motion. Motion carried. 2014 Council Committees – Tabled until next workshop. New City Entry Signs – Mayor suggested new “welcome” signs are badly needed at each end of the city. He would like to put together a committee to work on this project immediately. It was suggested perhaps the students at Oakville’s schools could possibly help design the signs. Library Interlocal Agreement – Tabled until next workshop. RES #390: Banking Authority: Councilman Ruymann made the motion for Mayor Sims to sign the new bank card allowing the Mayor to sign checks. Councilman Palmerson seconded the motion. Motion carried. RES #391- Surplus City Car – Tabled until next workshop. A motion was made by Councilman Ruymann and seconded by Councilman Cilluffo to pay the bills. Motion carried. John Ruymann welcomed new council members and thanked Charles Norskog for his time spent on the council and as mayor.